Basketball Historian Tim Gallagher joins the Bullseye to discuss the History of USA Basketball. This discussion centers on the years between 1952-1972. 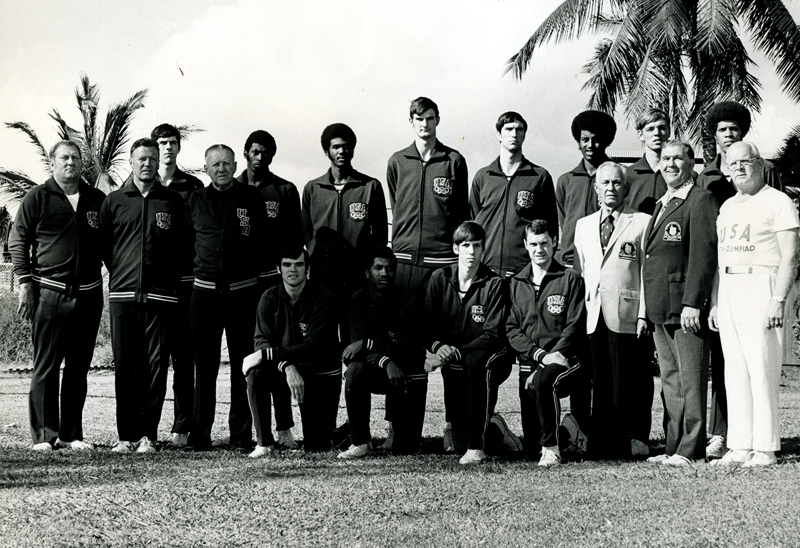 The 1972 team was the first to lose a gold medal in men’s basketball. They lost to the USSR, in controversial fashion. Basketball Historian Tim Gallagher joins the Chicago Bullseye to discuss the Bulls’ Summer League Championship. Jimmy Butler’s participation w/ USA Basketball is discussed, along with the career of Nate Thurmond. Fred and Mark discuss the Bulls signing Dwayne Wade and Rajon Rondo. There are 2 podcasts combined into 1. The first half was recorded shortly after Wade signed. The second half was recorded after Rondo signed. Basketball Historian Tim Gallagher joins the Bullseye to discuss the Bulls’ amazing signings of Dwayne Wade & Rajon Rondo. Kevin Durant’s choice of Golden State is also analyzed. Basketball Historian Tim Gallagher discusses the Finals, the Draft, & the 2016 crop of Free Agents.